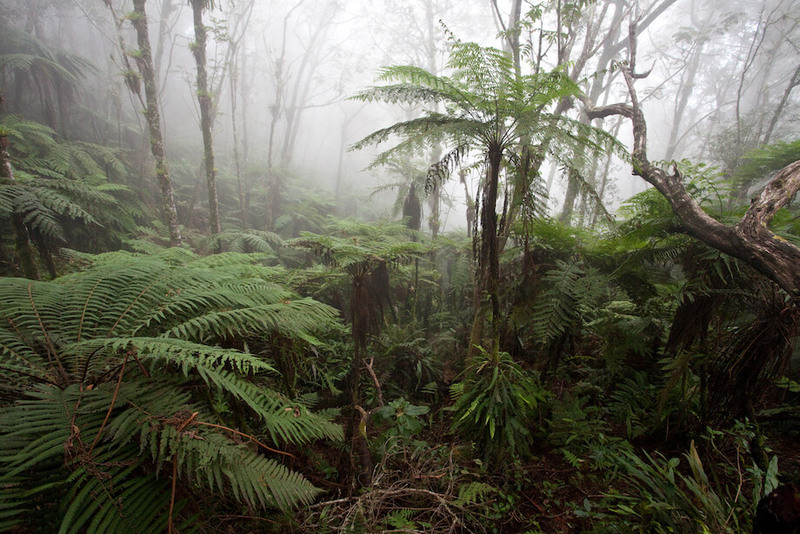 Cloud forest in Haiti, part of the Caribbean Islands Biodiversity Hotspot. What is a biodiversity hotspot? There are currently 36 recognized biodiversity hotspots. These are Earth’s most biologically rich—yet threatened—terrestrial regions. Contain at least 1,500 species of vascular plants found nowhere else on Earth (known as "endemic" species). Have lost at least 70 percent of its primary native vegetation. Many of the biodiversity hotspots exceed the two criteria. For example, both the Sundaland Hotspot in Southeast Asia and the Tropical Andes Hotspot in South America have about 15,000 endemic plant species. The loss of vegetation in some hotspots has reached a startling 95 percent. Why does CEPF work only in biodiversity hotspots? The extinction crisis is vast, and conservation funds are limited, so focus is a critical element of CEPF's approach. Biodiversity hotspots are home to thousands of irreplaceable species that are facing multiple, urgent threats. These are places where CEPF's relatively small investments can help move the needle in a meaningful way toward sustainable conservation. Who lives in the biodiversity hotspots? The 36 biodiversity hotspots are home to around 2 billion people, including some of the world's poorest, many of whom rely directly on healthy ecosystems for their livelihood and well-being. The hotspots provide crucial ecosystem services for human life, such as provision of clean water, pollination and climate regulation. These remarkable regions also hold some of the highest human population densities on the planet, but the relationship between people and biodiversity is not simply one where more people lead to greater impacts on biodiversity. Much of human-biodiversity impacts lies not in human density but rather in human activity. Conservation in the hotspots promotes sustainable management of these essential natural resources and supports economic growth, which also reduces drivers of violent conflict. CEPF works with civil society in the hotspots to protect biodiversity. How did the concept of biodiversity hotspots begin? In 1988, British ecologist Norman Myers published a seminal paper identifying 10 tropical forest “hotspots.” These regions were characterized both by exceptional levels of plant endemism and serious levels of habitat loss. Conservation International, one of CEPF's global donor organizations, adopted Myers’ hotspots as its institutional blueprint in 1989. In 1996, the organization made the decision to undertake a reassessment of the hotspots concept, including an examination of whether key areas had been overlooked. Three years later an extensive global review was undertaken, which introduced quantitative thresholds for the designation of biodiversity hotspots and resulted in the designation of 25. In 2005, an additional analysis brought the total number of biodiversity hotspots to 34, based on the work of nearly 400 specialists. In 2011, the Forests of East Australia was identified as the 35th hotspot by a team of researchers from the Commonwealth Scientific and Industrial Research Organisation (CSIRO) working with Conservation International. In February 2016, the North American Coastal Plain was recognized as meeting the criteria and became the Earth's 36th hotspot. Read the announcement. Cape May warbler (Setophaga tigrina) in Parque Nacional Sierre de Bahoruco, Dominican Republic.